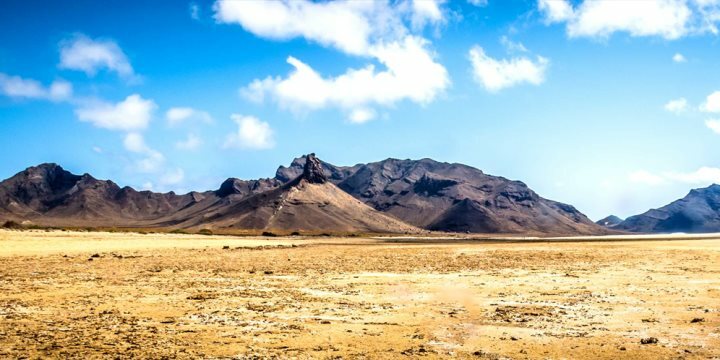 Located 8km south east of São Vicente and 29km northwest from São Nicolau, Santa Luzia is the smallest of the islands in Cape Verde, and the only one which is uninhabited. The island is very dry and barren with a rugged north coast and beaches and dunes to the south. The highest point is Topona at 395m. The island was uninhabited until the 17th century from which point it was used for raising livestock. This continued up until the 1960s when there was a small community living on the island, however by the 1990s the island was once again uninhabited. The only way to reach the island is from Calhau, on the east coast of São Vicente, where it is possible to charter a fishing boat for the day to take you to Santa Luzia. The crossing is approximately two hours in each direction. Our resort representative will be pleased to advise you on the best way to get there, if you wish to visit.